Here at Cinema Architects, we supply and install state-of-the-art home automation systems that allow you to control everything in your home with the touch of a button. 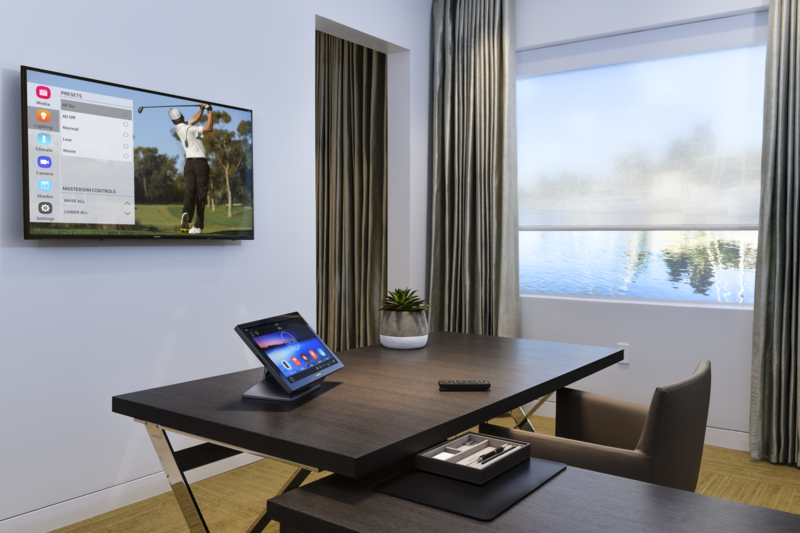 Whether you desire to replace multiple remote controllers with a single elegant touchpad or operate your home systems from any mobile digital device, we will turn your house in a sleek and modern work of art. We are able to program multiple lifestyle scenario settings for your home system for example if you are out of your house and realize you forgot to turn off a light, you can simply choose an “Away” setting on your mobile device that will remotely turn off all lights, music and TVs as well as adjust your HVAC settings as desired. Not only are you being environment-friendly, but you are also cutting down monthly electricity usage for your family. With ever-improving advancements in technology, voice control is the next step in the way we interact with our home and environment. 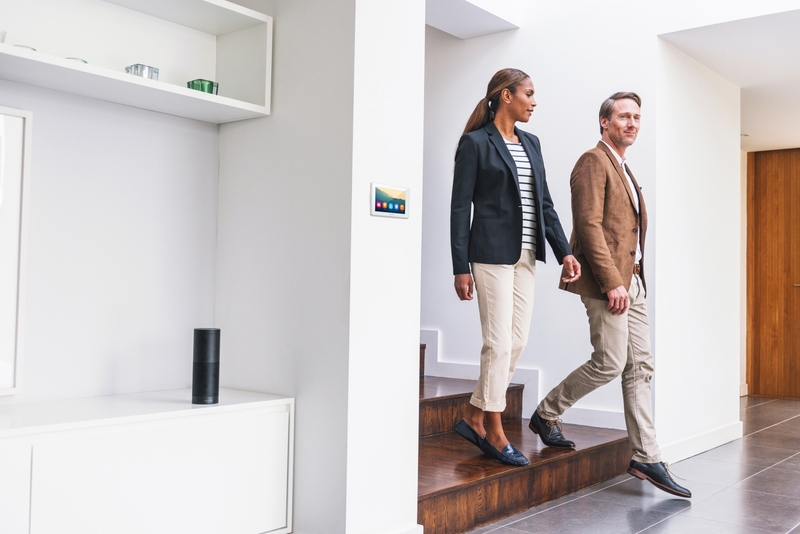 With the ability for sound systems to have assistant capabilities comes the next step in the evolution of home automation. Voice control will open up the way we control our environment and allow for a new, seamless way of living. Now you can have control over all of your smart home systems with a simple request. Open and shut blinds and curtains as soon as you think of it. Turn off the veranda light while you’re getting into bed. Change to the next song by asking. These are all simple and easily performed tasks that you can now achieve with a voice control system.